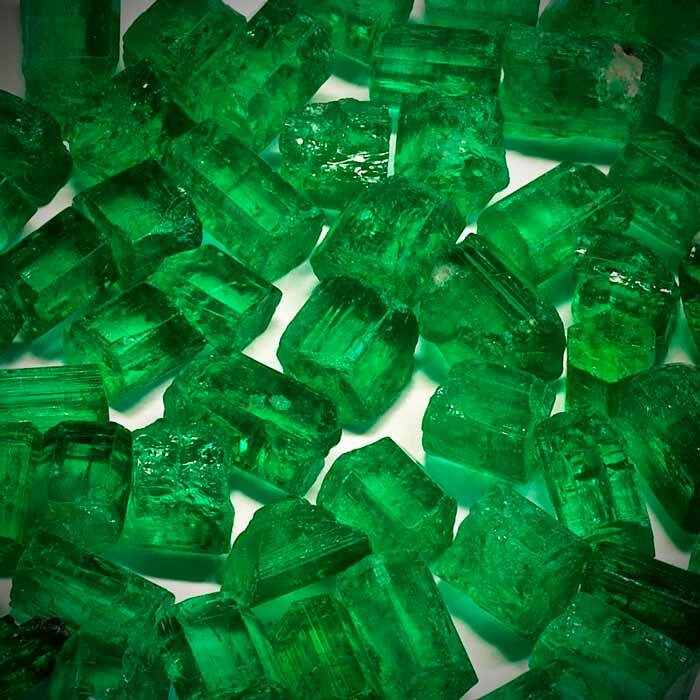 Strictly speaking we have come to specialise in Colombian emeralds, as we’ve been going to Colombia to buy stones for 20 years now. 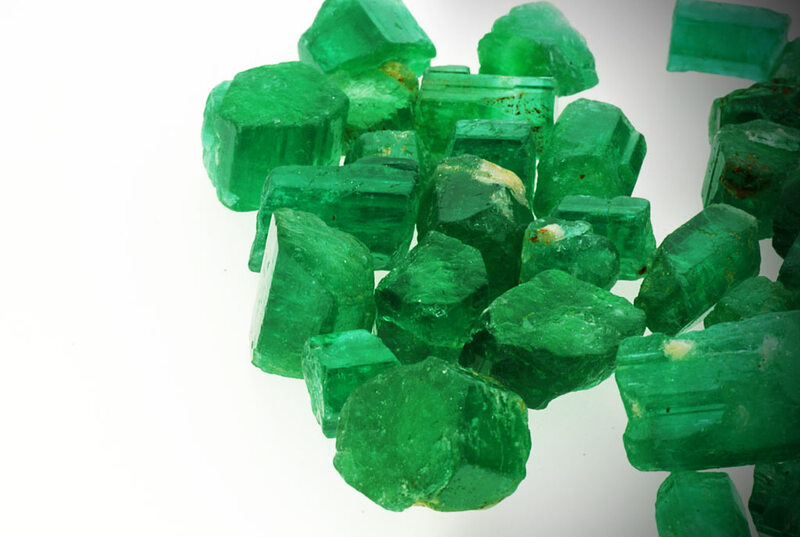 But that doesn’t mean we don’t also keep an eye out for emeralds from other countries of origin. For me it’s not so much the origin that is decisive, but the colour and the purity of an emerald. 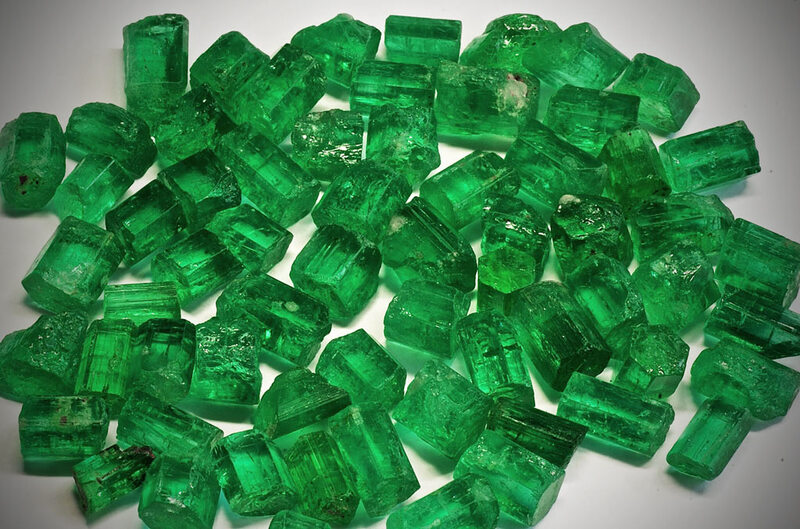 With emeralds, there are great variations in the raw stones. Sometimes they’re almost completely encased by parent rock. Sometimes they’re completely free of it. We were able to purchase some material like that quite recently. It comes from the Panjsher Valley in Afghanistan. It’s absolutely free of parent rock, and very beautiful in its purity and colour. We’re very glad to have had a real piece of luck like this again after such a long time, because material of this quality really is extremely difficult to get hold of. The region the stones come from is undeveloped and very remote. Travelling directly to the mine is decidedly inadvisable. Communication between vendor and purchaser can only succeed with a skilled intermediary.